For Trey's big win, we went to the movies yesterday. So that we weren't tempted to buy movie theater food and accumulate waste, we packed our own. 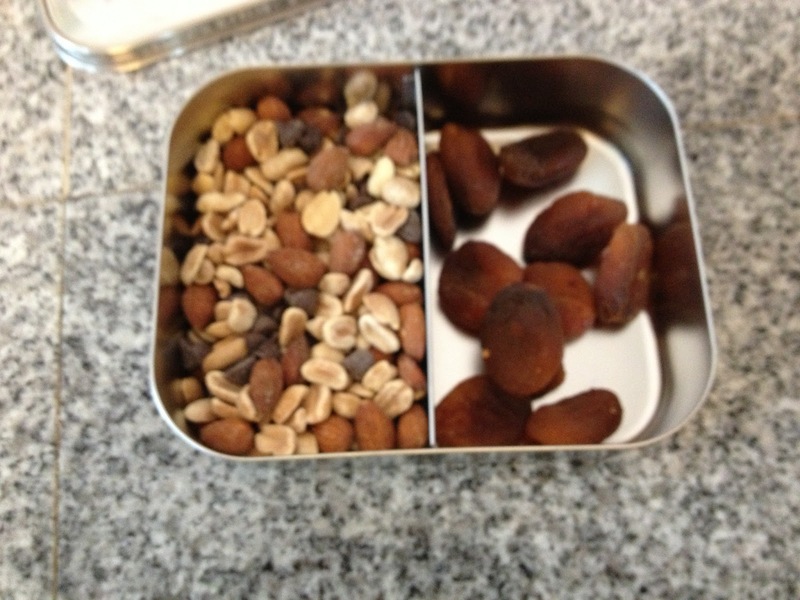 We used the same tins that we use in our lunches. They were small enough to fit in my purse but big enough for us to have an adequate snack. Below is a picture of my tin. Since my crew is sometimes picky, this allows us to individualize our own snacks. To drink we brought our stainless steel water bottles. With just a little preparation it is easy to keep a zero waste lifestyle even when you are not at home.